Dance on the Volcano tells the story of two sisters growing up during the Haitian Revolution in a culture that swings heavily between decadence and poverty, sensuality and depravity. One sister, because of her singing ability, is able to enter into the white colonial society otherwise generally off limits to people of color. 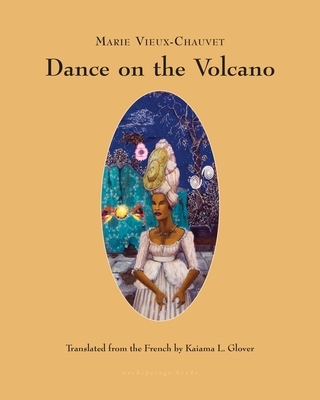 Closely examining a society sagging under the white supremacy of the French colonist rulers, Dance on the Volcano is one of only novels to closely depict the seeds and fruition of the Haitian Revolution, tracking an elaborate hierarchy of skin color and class through the experiences of two young women. It is a story about hatred and fear, love and loss, and the complex tensions between colonizer and colonized, masterfully translated by Kaiama L. Glover. AUTHOR: Marie Vieux-Chauvet (1916-1973) was a Haitian novelist, poet and playwright. Born and educated in Port-au-Prince, her works include the novels Fille d'Haïti (1954), La Danse sur le Volcan (1957), Fonds des Nègres (1961), and Amour, Colère, Folie (1969). TRANSLATOR: Kaiama L. Glover received a B.A. in French History and Literature and Afro-American Studies from Harvard University and a Ph.D. in French and Romance Philology from Columbia University. She is now an associate professor of French at Barnard College. Her book, Haiti Unbound: A Spiralist Challenge to the Postcolonial Canon, explores the Haitian Spiralist movement. She has taught English at Stanford University and French at Barnard College and Columbia University, sits on the editorial boards of the Romanic Review and Small Axe, and regularly contributes to The New York Times Book Review.